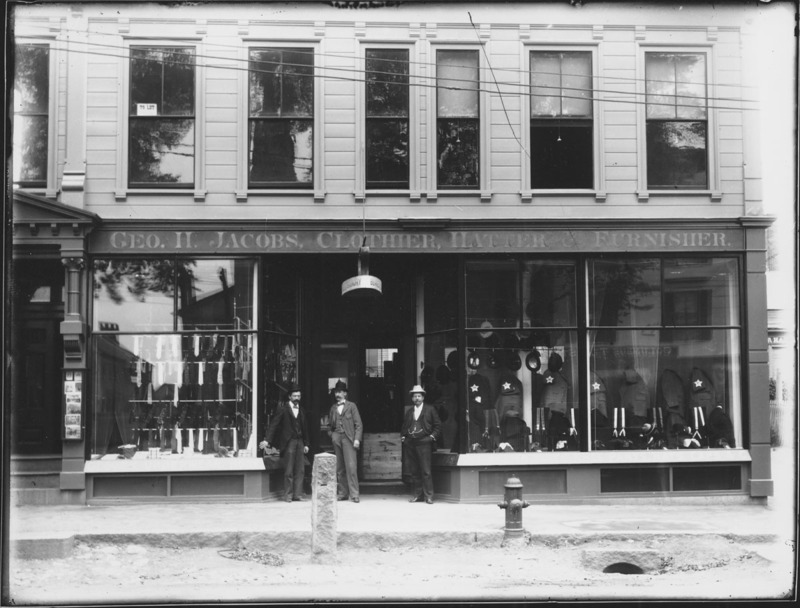 George H. Jacobs, Clothier, Hatter and Furnisher Store. Exterior of Store where three men stand in doorway. Before store is hitching post and fire hydrant. “Exterior of George Jacobs Store,” Peabody Institute Library, Peabody, Mass., accessed April 18, 2019, https://digitalheritage.noblenet.org/peabody/items/show/184.